Our much larger Annie Cocktail Ring inspires the smaller Allison Ring. The Allison holds a 10-12mm stone still not all that small. 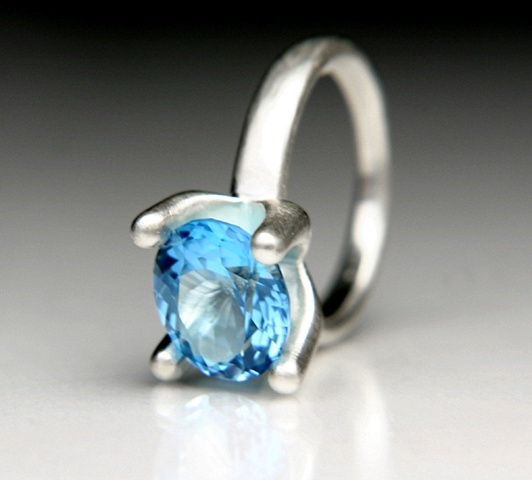 This ring has a nice sparkly 12x10mm, 5.82ct, blue Topaz, with a brushed finish. The metal is de-ox silver that does not tarnish like sterling silver. #JC516, signed by Jewels Curnow.